As a blogger for two years, this issue takes my attention seriously, mainly I’m afraid of looking into this loosing situation in a long run, not just for my own good but for all bloggers and ad-driven sites. 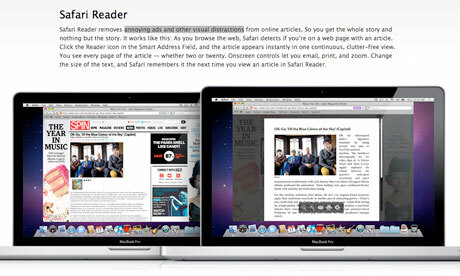 First, the Safari 5 ad-blocking mechanism specifically and the ad-blocking in the whole sense for internet publishers. Here is some points in my opinion for the case of the Safari 5 browser ad-block features. The new Safari 5 features will sure to clean up unnecessary ads on the site you will visit, but though it takes a small 5% on the browser market but in the long run this could turn up into a positive ratio considering the demands Apple is getting on its products now. The iAds is Apples new advertising platform for mobile browsing, this most likely a conspiracy noted by reference to some of the article I noted above. The iAds will jive with the Safari ad-blocking mechanism in such a way it will block the ads in a website leaving the unblock-able ads serve by iAds platform. The assumption more profit for Apple. Most likely too an app for blocking the iAds is sure to be developed but the big question is if this will be approved by Apple, 99% is sure for NO. If these ad-blocker from Safari will become a big hit on the mobile browsing sure enough that iPhone is leading if I’m not mistaken for more or less 54% of mobile browsing, this will sure to press up other known browser like the IE, Mozilla Firefox and most likely Chrome to plug their own ad-blocker now for the world wide web. After you read everything, I want to here a serious answer from you specially for my fellow bloggers and a whole lot more for my readers. The one you mentioned here will be very useful to me! I will post a link to this page on my blog. I am sure my visitors will find that very useful. I only to sat ,Thanks for sharing these content. Not only do you know a great deal about it, you know how to present in a way that people will want to read more.